San Antonio Lightning will host a tryout session for the upcoming 2019-2020 USAV club volleyball season on Sunday, June 30, 2019. It will be held at St. George Maronite Catholic Church, 6070 Babcock Rd., 78240. Online registration is recommended. There are 2 separate actions to complete before your player is considered registered. Step 1 Fill out the registration and submit it. Step 2 Make your try out payment $45 non-refundable. If you prefer to download the registration form. Payments can be made at the tryout site, cash or credit card only. Any registration form received without submission of payment directly following the registration form submission will NOT BE ACCEPTED. have you played VB club before? WAIVER/RELEASE (Please read carefully) In consideration of the acceptance of my entry form for these volleyball try-outs, I intend to be legally bound, not only for myself but also for my representatives, heirs, executors and administrators. IN SIGNING THIS WAIVER/RELEASE FROM LIABILITY, I WAIVE AND RELEASE EVERYONE CONNECTED WITH THESE TRY-OUTS FROM ANY AND ALL LEGAL LIABILITY WHICH MAY ARISE FROM THESE TRY-OUTS HELD AT ST. GEORGE MARONITE CATHOLIC CHURCH FACILITY. I ALSO SPECIFICALLY RELEASE SAN ANTONIO LIGHTNING VOLLEYBALL CLUB, ST. GEORGE MARONITE CATHOLIC CHURCH FACILITY, THEIR STAFF, EMPLOYEES, CONTRACTORS, AND SUBCONTRACTORS FROM ANY AND ALL LIABILITY. I agree to pay the attorney fees and litigation expenses incurred by any person, real or corporate, whom I may sue in an effort to challenge this Waiver/Release. I understand that my agreement to pay attorney fees and litigation expenses is the sine qua non for the acceptance of my entry form for these try-outs. 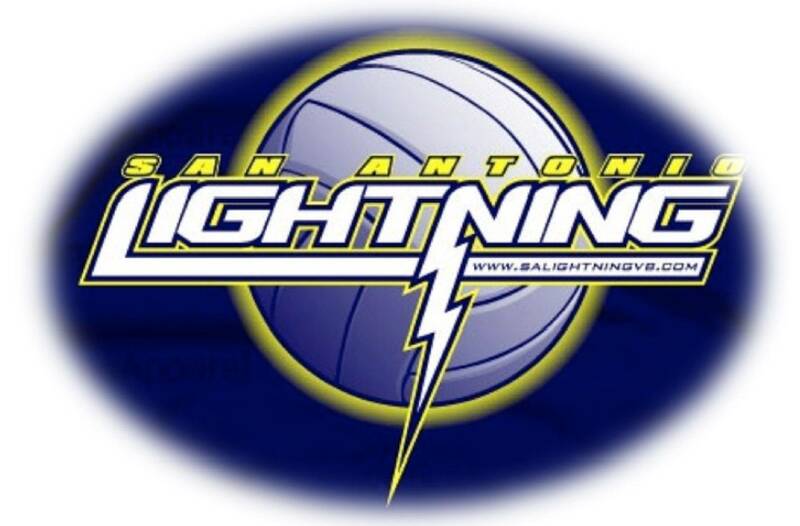 Thank you for registering to tryouts with San Antonio Lightning Volleyball Club. Any registration form received without submission of payment directly following the registration form submission will NOT BE ACCEPTED. NO EXCEPTIONS. Any registration form received without submission of payment directly following the registration form submission will NOT BE ACCEPTED. NO EXCEPTIONS. A non-refundable financial payment of $550 is due upon selection and acceptance of position on team. Spots will not be held without payment.